Natural range Entire Europe, NW Africa, SW Arabian Peninsula, temperate Asia, northern coast of Okhotsk, and W North America. Range in Japan There are records of breedings in Hokkaido, Niigata, Nagano, Fukuoka, Saga, Nagasaki, and Kumamoto Prefs., and occurrences in Akita, Yamaga, Kanagawa, Fukui, Hyogo, Tottori, Shimane, Miyazaki, and Kagoshima Prefs., and Sadogashima and Tsushima Is. Although populations on Kyushu should be non-native, whether the other populations are native or not is unclear. Impact Potentially: Competition with native songbirds. 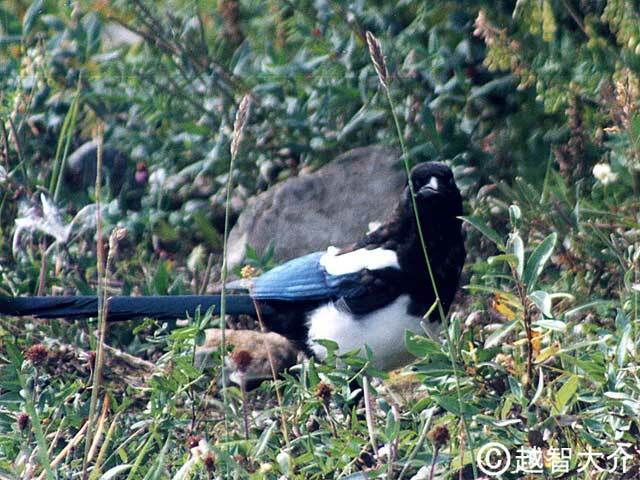 In UK, increase of magpie causes decline of small songbirds. Nesting on electric pole sometimes causes short circuit.